Congratulations on the new book. Everest, dream of many mountain climbers. This picture of Mt Everest is really breathtaking! I have heard that an Everest expedition is very expensive. You need to pay for health and care service and food but the better part is that will lose about 2,000 calories when climbing Mt. Everest. Congrats for the book. I would like to buy it in India. This is a lovely north-face image. Loved the polarized sky color. Did you use a polarizer filter? @Abhijit Dharmadhikari, Thanks! No i used no filters, it is processed in photoshop & LightRoom. You can get the book in many online stores. Your book looks very good! I will get it from my book shop in town. how do u manage to get such great clicks…do u hike them to shoot or fly to an upclose location? What a great site! We\'ve trekked a lot in the same places (though not in South America), so I felt happily at home going through your pictures. We\'ve just moved to Moscow, it was a lovely surprise to discover how much colour you managed to find here, too… Shall keep track of your moves! 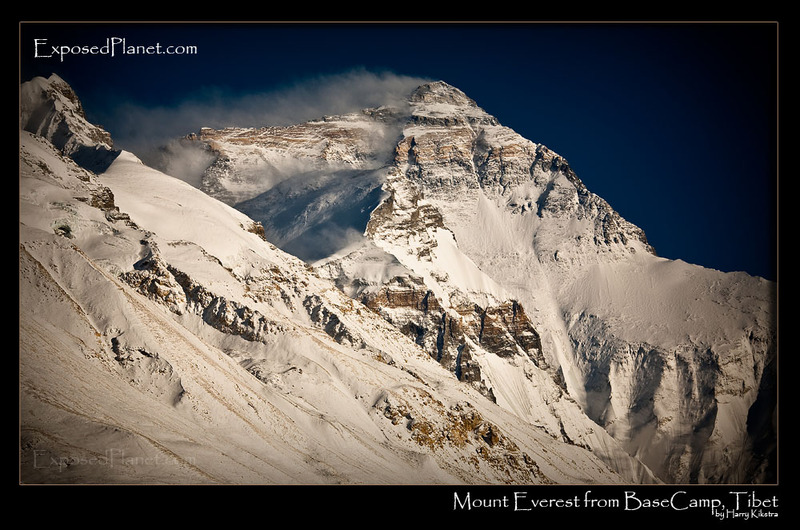 One of the most beautiful Everest photos I\'ve seen. I\'ve visited Everest BC from the nepal side and it was impressive but this view is even better. Is it Changtse in the front ? This is a beautiful composition, the light and contrast is great! Fantastic image, the detail and composition are both amazing. The story behind "Mount Everest from BaseCamp, Tibet"
It is Everest season and here is one of my favorite images of “Chomolungma”, the mother Goddess of the Earth. – That my new Pocket Guidebook, “Everest, Summit of the World” has been published and is available through Amazon.com and other places right now! Read more about the guidebook here on 7summits.com or see the info below! Of course you can buy it at amazon.com (click here). At 8848 m (29,028 ft) Mount Everest is the world’s highest peak. Even the trek to Base Camp is arduous. Climbers aiming for the summit must survive the extreme conditions of the ‘Death Zone’ and perform great feats of endurance. It is Everest season and here is one of my favorite images of "Chomolungma", the mother Goddess of the Earth. This post is to celebrate 2 things: - that some of my friends will be very close to the summit at this moment (good luck and be safe!) - That my new Pocket Guidebook, "